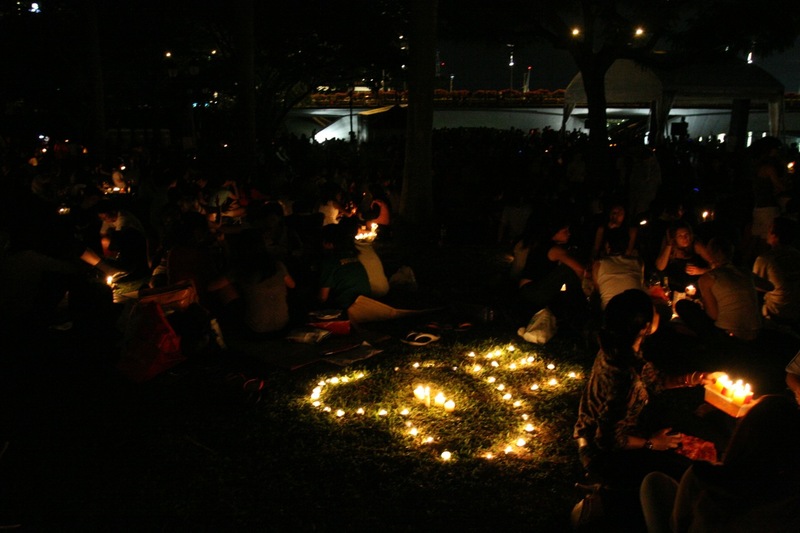 On 28th March 2009 at 2030 hrs , Singapore played her part in Earth Hour 2009 by switching off its lights for 1 hour and highlighting the cause and importance of saving and protecting our beloved Earth. 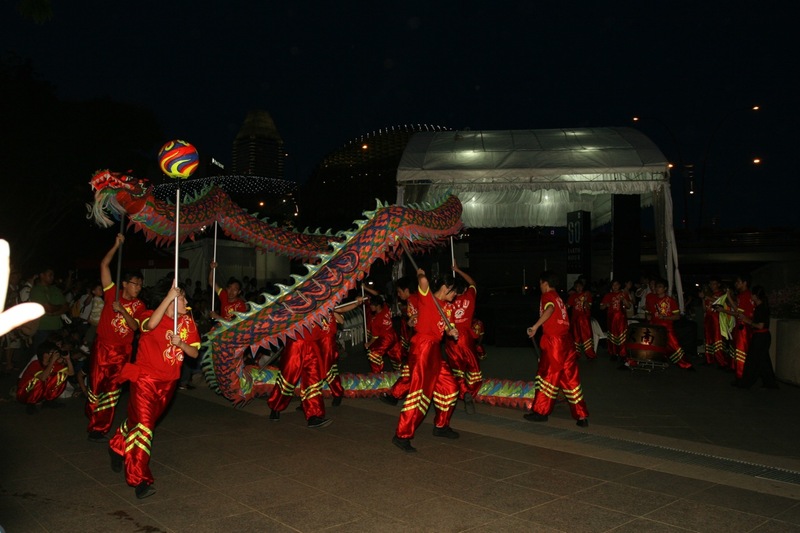 Before that, the Esplanade Park was alive with activities and concerts prior to switching off of the lights around the event ground and the buildings around nearby to Esplanade Park. 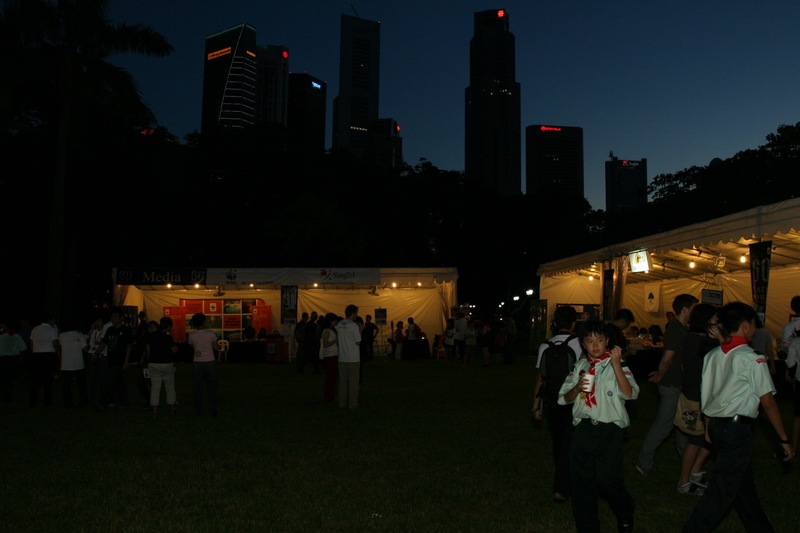 There were different activities happening around the marquees, with Earth Hour 2009 sponsors giving it a strong presence and the Singapore Scouts were very active in making Earth Hour 2009 Singapore colourful with their activities and artwork and passing down the message to the future generation of Singaporeans in our cub scouts. There were also great crowds around the Esplaande Park, with participants sitting around the grass patch, with their picnic mats and goodies, lighting up candles and a electric lamp by Phillips. When the lights go off at 2030hrs, it was an awesome sight to see the brightly lit candles. The buildings around the Raffles Place and City Hall area switched off their external facade lights, as I did not bring my tripod, I couldn’t really capture the lovely night sceneries. On the stage, the participants were given a great unplugged performance under the beautiful moonlight and candles lighting up the area. I was glad to be part of Earth Hour 2009 Singapore, with everybody taking a part in it, we all combine our strengths to make a difference to Earth Hour and spreading the message across to everybody around the world that, we can, we need and we must take care of our Planet Earth. 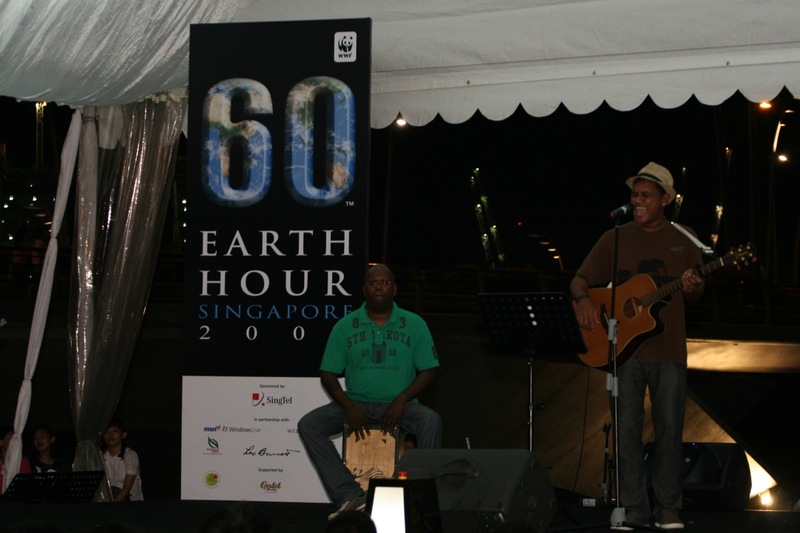 How was your Earth Hour 2009 event like in your home country ? What a wonderful contribution and how great to see you gathering in Esplaande Park – together you stay strong! If you update your post to my Blogger’s Earth Hour Link Love Chain, I’ll add your post. Join Bloggers Care for the Earth Link Love chain. Put it in your post for more links. Thank you for your contribution to Earth Hour too ! I would spread about Earth Link Hour Love Chain too ! Thanks for your contribution to Earth Hour too ! I would spread about the Earth Link Hour Love Chain too ! Glad to hear that Earth Hour was successful in your area ! Even though not many people participated, everybody who participated & played a part helps in spreading Earth Hour ! The candle lights there made the Earth Hour event very interesting, thanks for your kind comments on my coverage of the Earth Hour event, appreciated ! It’s a great event for Singapore to be part of and I believe it will be an annual event in Singapore in the years ahead. I had a great time there and the atmosphere was great ! There would more opportunities in the future ! I hope we can have such a earth hour like this next year! I hope more and more people join next year! Do drop by my flickr account and view the photos there ! Quite a handful of photos on Singapore ! Hope Earth Hour can kick start in your area next year ! 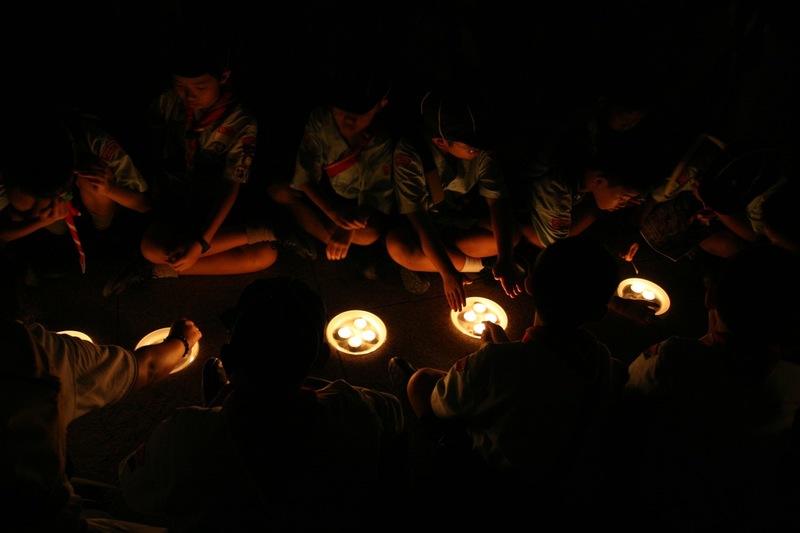 We need to encourage more people to participate and know about Earth Hour ! Let’s all do it together ! Love the comment you wrote here ! The symbolism of the candle light !! Nice of you to drop by ! Yup, let’s all make the world a better place for us and for our future generation !